The first comes from artist Betty Edwards. In her fantastic book, Drawing on the Right Side of the Brain, she talks about ways to trick your perception into seeing what’s actually there rather than seeing your preconceptions. You know the kind of thing – you try to draw a face, and somewhere in your messed up mind you think: ‘face’ – circle, two dots, a smile, etc. 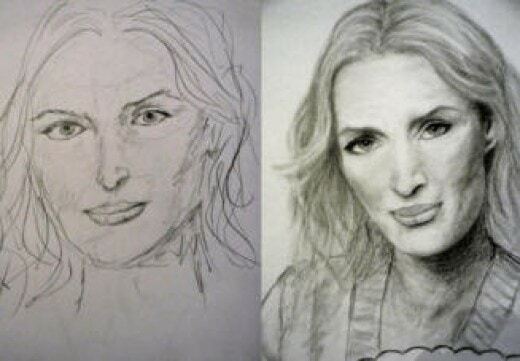 In this case, the preconceptions get in the way of drawing well. So, one exercise involves looking at the negative space that an object creates. Instead of trying to draw the object, you draw the spaces that the object creates. It’s another way of perceiving relationships between things, and it’s an idea that’s easily applied to music. For example, listen to a solo and instead of focusing on the things played, focus on the space, the gaps, the pauses. Focus also on the space created between the instruments. Just listening with that in mind makes you hear the music differently. You hear new stuff. 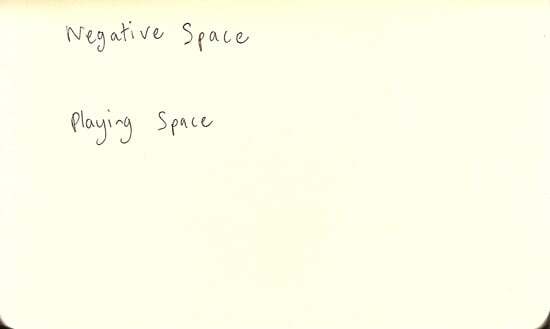 The second idea is to do with playing space. When you play, the things you play relate to the pulse, and the stronger your sense of pulse, the stronger your rhythmic placement is. Dodgy time happens when you fail to relate the things you play to the underlying pulse (that’s if the music you are playing is related to a pulse). Or to put it another way, when someone’s time is suspect, it’s usually because they are thinking of the rhythm as being a relationship between the things played, rather than a relationship to the pulse. I like to think of space as an active thing that you can do – to play space, rather than thinking of it as something that happens by accident when you stop playing. Can you actively play space? What is it that you’re actually doing? Are you messing with the placement of events in relation to one another, or are you placing a thing called ‘space’ somewhere?